I told you you may want to play around with lengths. 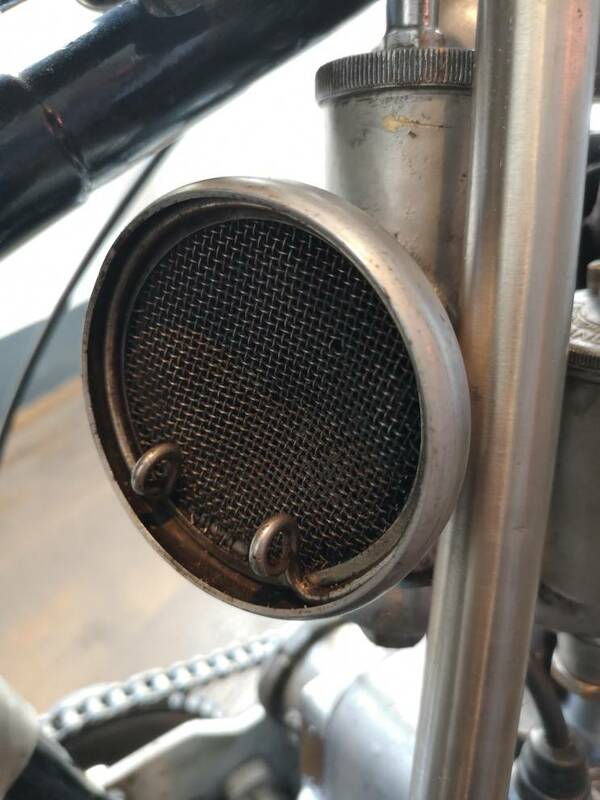 Also it could be that he has to shorten them as he can't stretch them enough... That being said, in order to make the most of the stacks, you should consider a good exhaust. 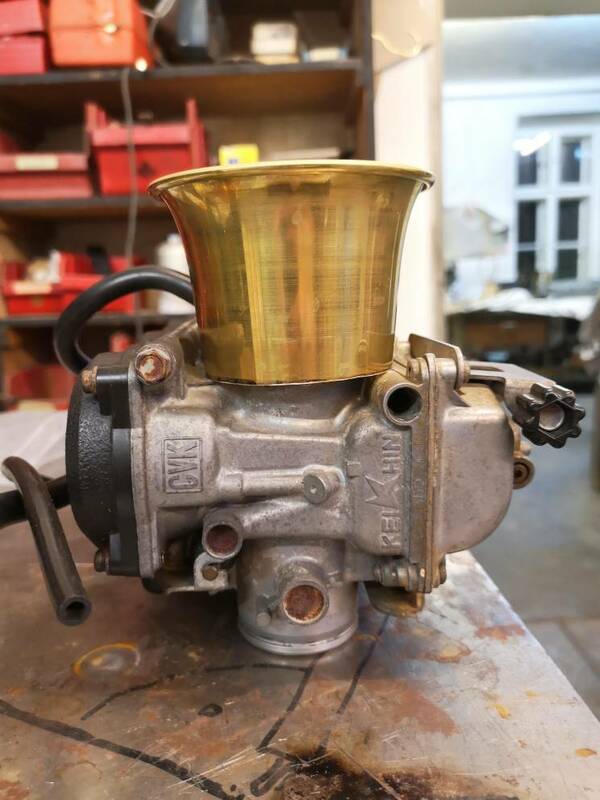 So I started cutting down the brass venturis. 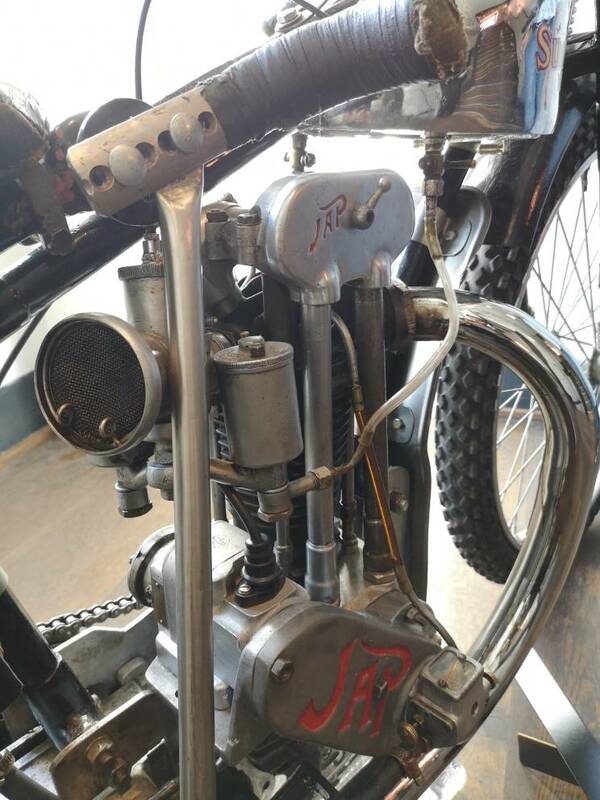 I have an idea to use a 3d printed adapter piece to make up for the gap and optimise the air flow to the carb. Maybe I let it be made out of metal later but for now it will be 3d printed. I have a friend with a 3d scanner. I will scan the carb mouth and 3d model the adapter into the 3d scanned piece. Coming in a bit late, as you have cut them! 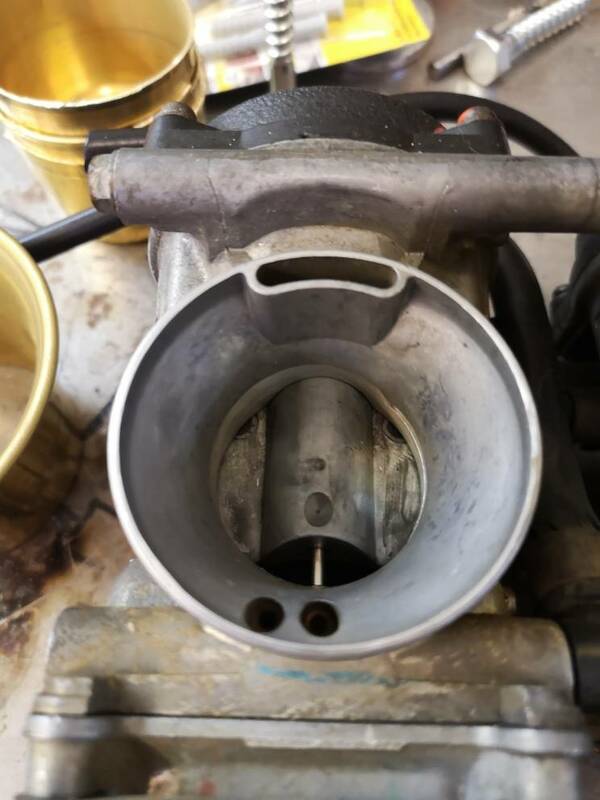 When I made up the filter assembly for my XS896, the "ram tubes" were made the same diameter and thickness as the inlet side of the Mikuni carbies so there was a very smooth air flow. The filter side of the "ram tubes" was then expanded to swage it into the filter tray. To hold the "ram tube" to the carbi I used 60mm ID silicon hose and hose clamps. The system is working very well. 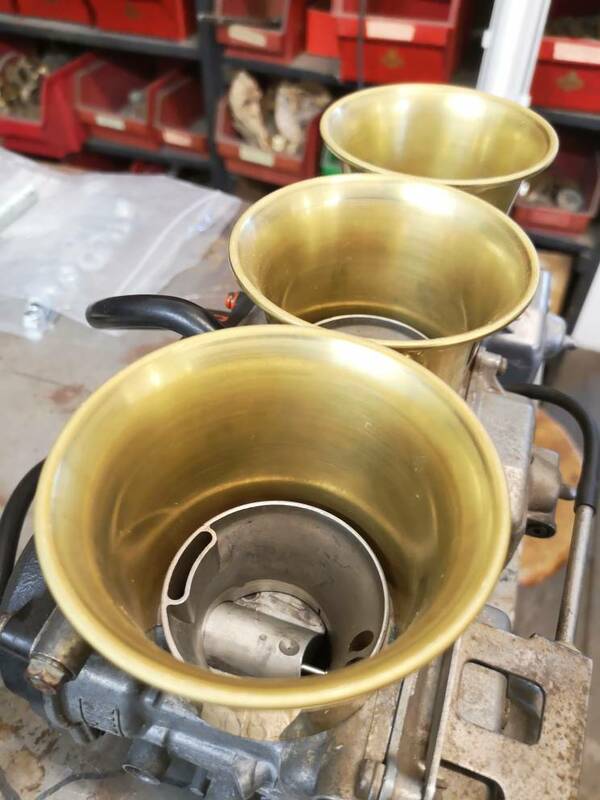 Unfortunately you have cut the cups so there is a step transition between the end of the brass cup and the carbi inlet. Do you have any more cups? Simple is usually best, hope this is some help. I have no other cups but I will try to make them work. And there is the idea to insert a ring that holds in a fine mesh too like in this pic. Mesh looks good but will completely ruin the airflow. 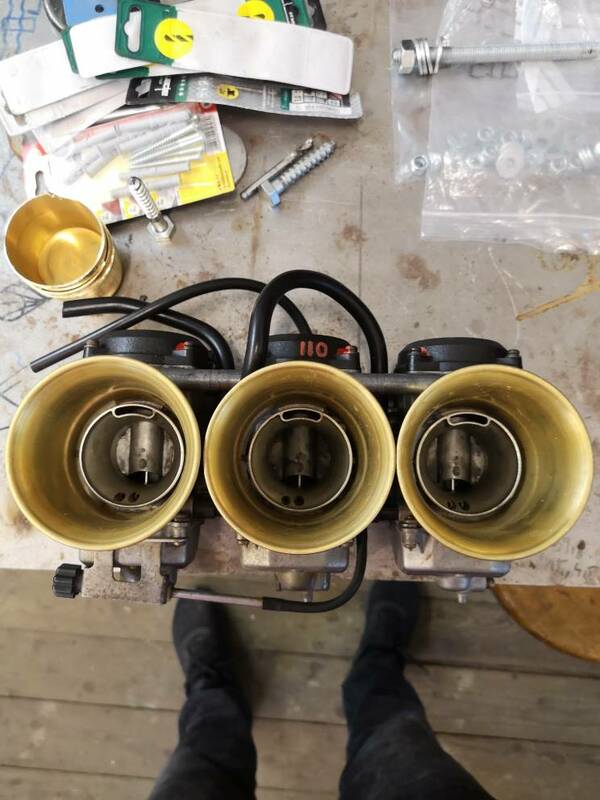 I know you are looking for the brass look, but why not start with the stock connectors to the airbox that the carbs came from. That will at least give you dimensions and length to work from. I have a set on the Phat Trakka that were made to fit an XS650. Mine are Alloy, but they do brass as well.